Get the protection you need from the name you can trust for just $89 (regular price $99)! MedicAlert Bundles make signing up for MedicAlert easy! Everything you need to experience the reassurance of Canada’s most trusted medical ID is included - all for the special price of $89 (regular price $99). Choose from four of our most popular styles. To order, click on one of the MedicAlert Bundles below, or call us at 1.800.668.1507. 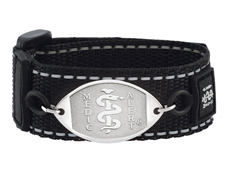 A true original, this popular MedicAlert bracelet is constructed with durable stainless steel and features a secure sister hook style clasp. 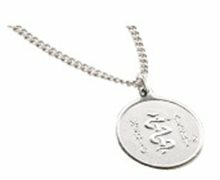 This stainless steel necklace is both functional and durable. 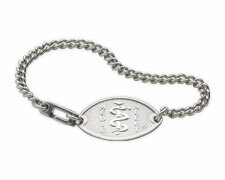 The 26" long chain is made to go on and off easily. 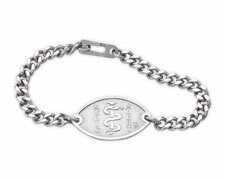 This stainless steel bracelet comes with the popular cut curb chain style ideal for everyday occasion. Engineered for ease of use, the Black Sports Band is great for runners, cyclists, outdoor enthusiasts and active lifestyle adults. It offers the flexibility to live life freely.